Samson’s LS50P Lightweight Speaker Stands raise your music to where audiences can enjoy it to the fullest. 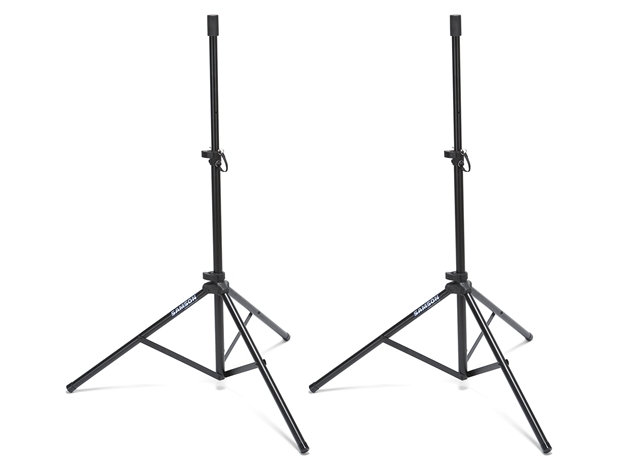 Ideal for use with Samson Expedition Portable PAs (XP150, XP308i, XP1000), this pair of lightweight, telescoping tripod speaker stands features a roadworthy, steel-constructed design with a sleek black finish. With their standard 1 3/8-inch pole adapters, the LS50Ps fit virtually all PA speakers. Adjustable up to six feet in height, these stands can handle enclosures that weigh up to 55 pounds (25kg) and each have a locking latch for increased support.